Oh my Democrats ready to kill Climate Bill ? 44% of Democrats want Bush tried as War Criminal. WASHINGTON (AP) ― The U.S. cruise missile strike on an al Qaeda training camp in Afghanistan in 1998 was meant to kill Osama bin Laden. But he apparently left shortly before the missiles struck, and newly declassified U.S. documents suggest the attack cemented an alliance with his Taliban protectors. The State Department documents released Wednesday provide details of the evolving relationship between Taliban leader Mullah Omar and al Qaeda chief bin Laden over four month in 1998. The period begins Aug. 21, 1998, one day after the missile attack — retaliation for the bombings of U.S. embassies in Kenya and Tanzania on Aug. 7 of that year. Omar said publicly on Aug. 21 he would continue to protect bin Laden. But the next day, he told a State Department employee in private that he would be open to negotiating bin Laden’s presence in Afghanistan, giving U.S. officials faint but ultimately false hope the Taliban might hand him over to Saudi Arabia. 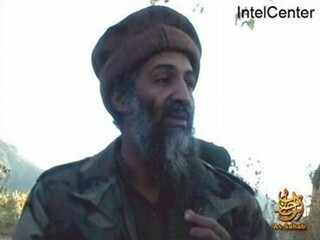 Bin Laden had been in Afghanistan since he was expelled from Sudan in May 1996. Those talks took place sporadically over the next few months in 1998, according to documents obtained by the National Security Archive at George Washington University through a Freedom of Information Act request. In the interim, however, bin Laden had traveled south in Afghanistan to Kandahar. There, he would be close to Omar, who wanted to “keep a watch on him,” said a secret cable sent from Islamabad, the capital of neighboring Pakistan, to U.S. diplomatic and military posts on Sept. 9, 1998. By the end of that October, the U.S. Embassy in Islamabad was concerned the tables had turned and Omar was falling under bin Laden’s political and philosophical sway. The U.S. once had believed the Taliban’s ambitions were confined to turning Afghanistan into a Sunni Muslim theocracy. Now, however, there were signs that Omar’s association with bin Laden was driving him toward a greater goal — pan-Islamism, the unification of all Muslims under a single Islamic state. The rest of the documents detail months of unsuccessful U.S. attempts to persuade the Taliban to expel bin Laden. “Time for a diplomatic solution may be running out. Taliban brush-off of our indictment and other evidence may indicate movement from tolerance” of bin Laden’s presence “to more active support,” said a Nov. 28 memo for then-Secretary of State Madeleine Albright. Bin Laden remained in Afghanistan until after the attacks of Sept. 11, 2001, when he apparently was driven out by the U.S. invasion of Afghanistan. He is believed to be hiding in western Pakistan’s ungoverned border area. After the bombings of the two American embassies, the U.S. launched 62 Tomahawk cruise missiles at two al Qaeda training camps in Afghanistan. It was believed bin Laden was at one of them meeting with several of his top men, but left shortly before the missiles struck.